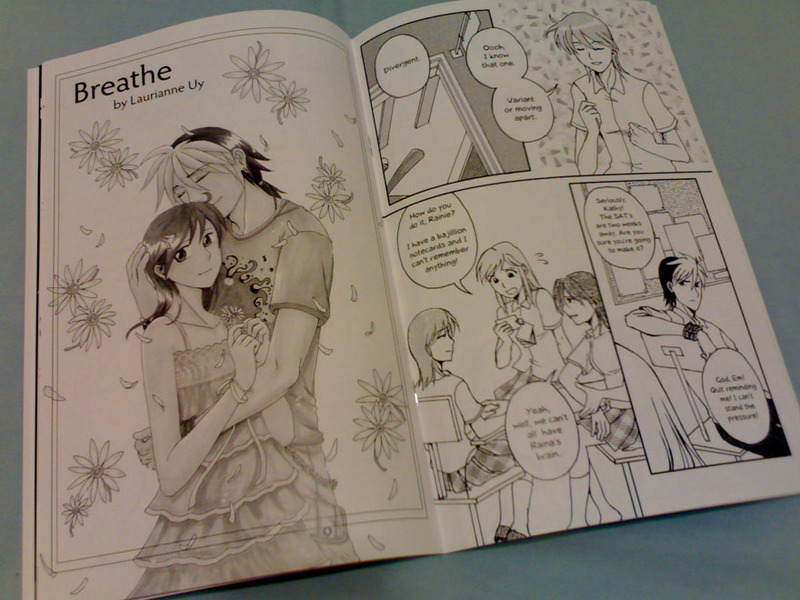 First Confessions is an original one-shot manga anthology I was invited to participate in early 2008. All participants took a prompt to create a short story dealing with the subject of a first love confession. We were even lucky enough to be given a brief mention over at AnimeNewsNetwork.com. I ended up writing about the bittersweet story of two good friends who have grown apart. If you happen to enjoy my comics, please consider getting a copy! Stories by Aja Moore, Yasmin Saaka and myself. Buy it here on Lulu.com. You can download a PDF for just $4, purchase a printed copy for $9.25.